Japan is building signals intelli­gence (SIGINT) stations along the Ryukyu Island chain to monitor Chinese naval and maritime activities, writes defense expert Wendell Minnick on his weblog. “China’s military expansion is conspicuous, and the military balance is changing in the East China Sea,” said Sumihiko Kawamura, a retired rear admiral who is deputy director of the Okazaki Institute, Tokyo. “China has been ramping up moves to expand its maritime in­terests, thereby intensifying friction with Japan.” The interlocking facilities will provide the country’s military with both communications intelligence (COMINT) and electronic intelli­gence (ELINT) capabilities. China has intensified posturing over its ter­ritorial claims in the area, said Peter Woolley, a Japan defense specialist. Actions include overflights by Chinese surveillance aircraft and maritime intrusions by the Chinese Navy and “rogue fishing vessels,” he said. More on Wendell Minnick’s weblog. 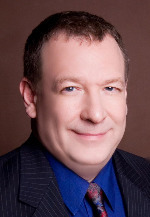 Wendell Minnick is a speaker at the China Speakers Bureau. Do you need him at your meeting or conference? Do get in touch.